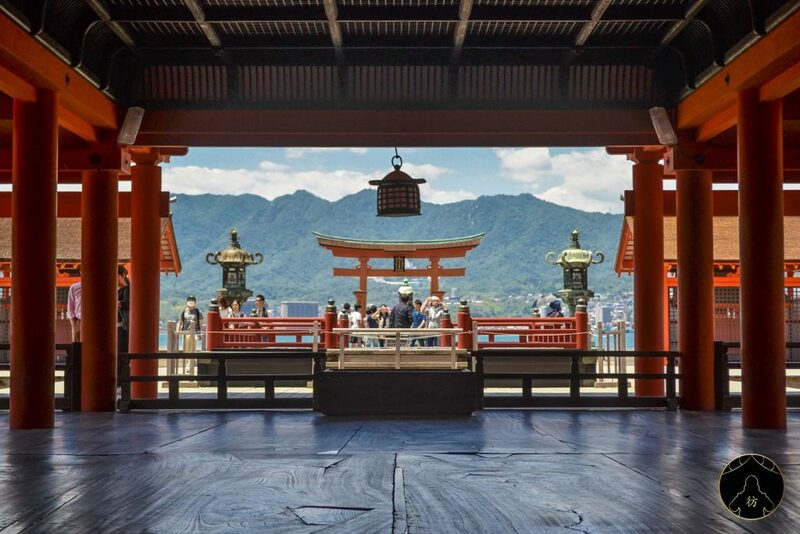 Miyajima Island – Today we set off on the island of Itsukushima, commonly known as Miyajima, literally the sanctuary island in Japanese. 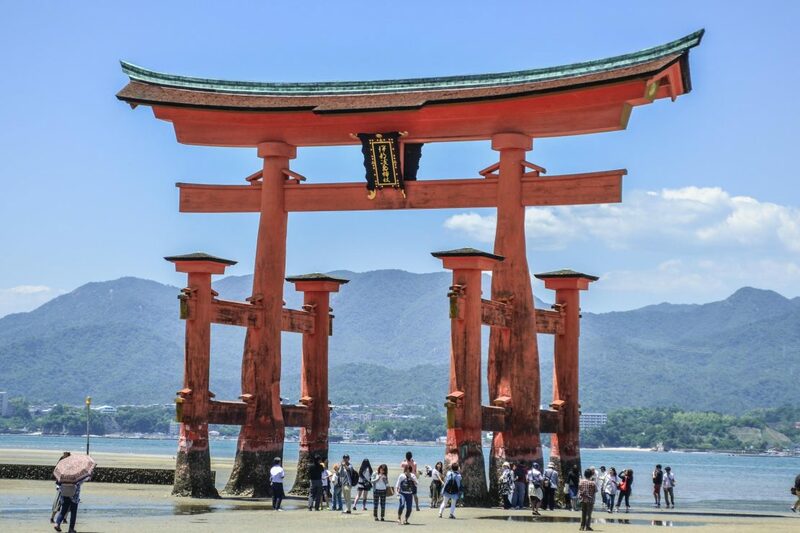 The reason behind its name is that, at the entrance of the island, in the open sea, there’s a great torii gate, representing the entrance to a sacred place. The o-torii (the honorific o- prefix adds politeness to the word) is part of the Itsukushima Sanctuary which is a UNESCO World Heritage Site. The island of Miyajima is not just a huge torii gate, it has many beautiful places that I will tell you about in a bit. 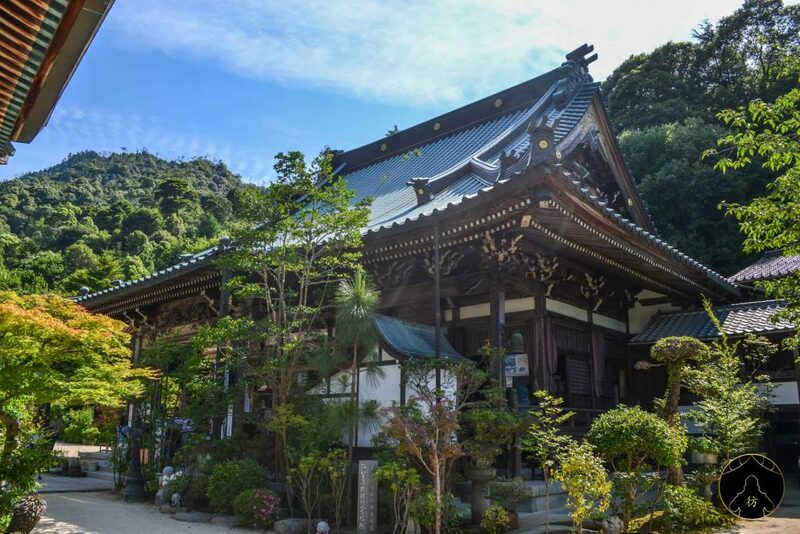 Before we get into my favorite places in Miyajima, let’s find out how to get there and where to look for accommodation. 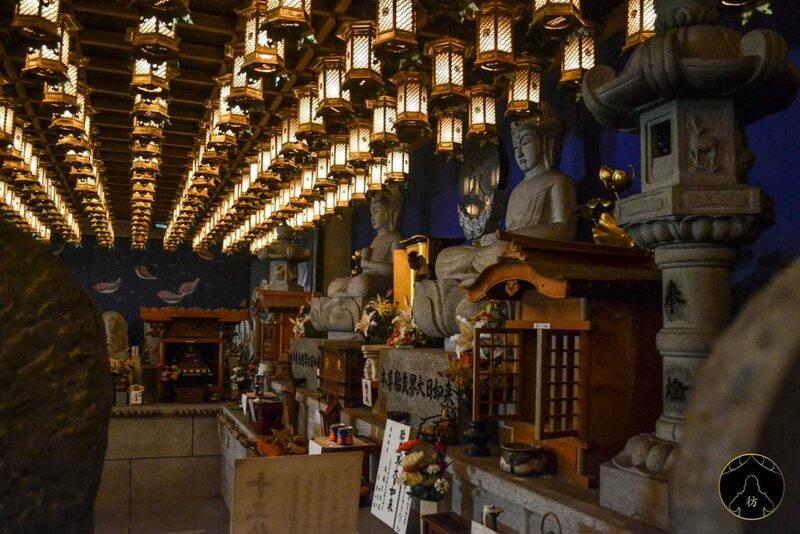 To go to Miyajima Island, you will first have to go to the Miyajimaguchi train station. If you’re coming from Hiroshima for example, there’s a direct 30-minute route to Miyajima through the Sanyo JR line. A one-way ticket costs 410 yen or about $4. 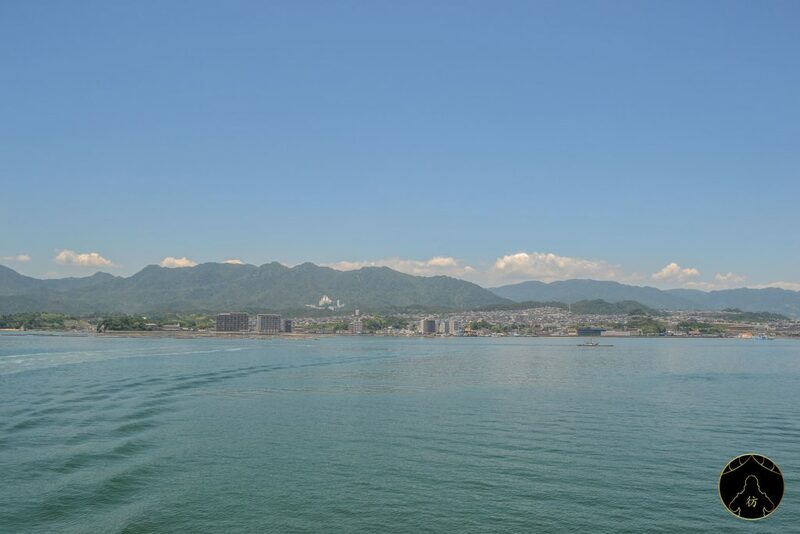 Then you’ll have to cross the Seto Inland Sea on the ferry you can see below. The trip lasts about 10 minutes. There is a ferry every 15 minutes or so, from 6AM to 10PM. To check out ferry schedules, have a look at this website. 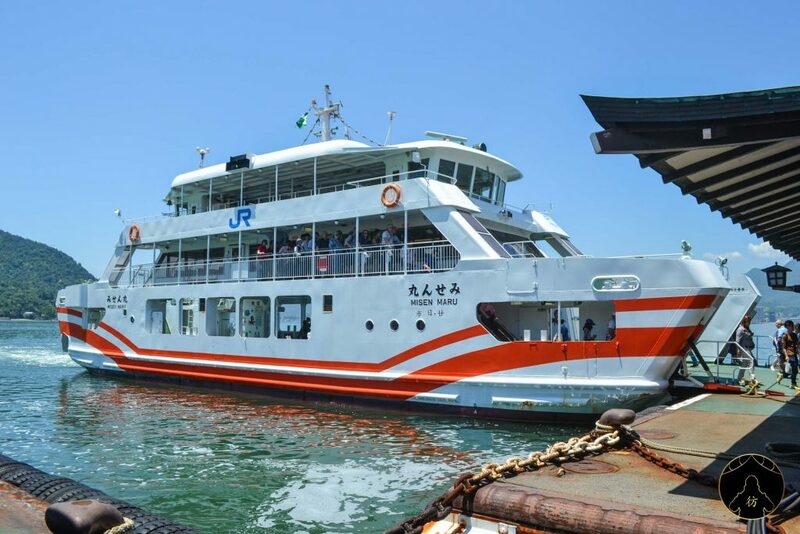 By the way, both the train and the ferry will be covered by your JR Pass, if you happen to have one. 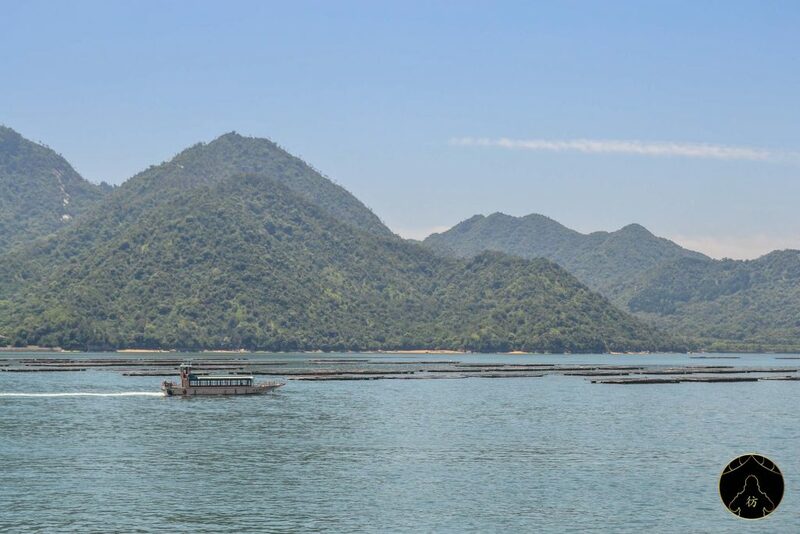 The ferry trip is very pleasant and you will have wonderful views of the mountains that surround the inland sea. 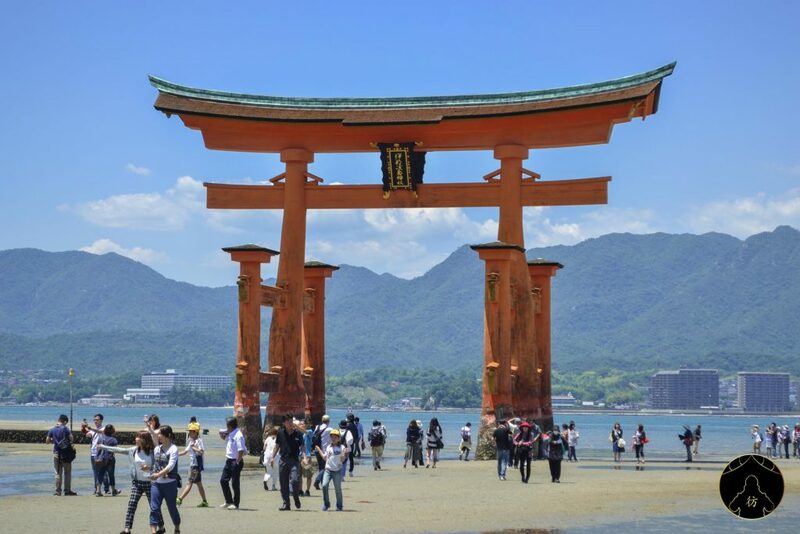 You will also catch a glimpse of the O-torii during the trip. 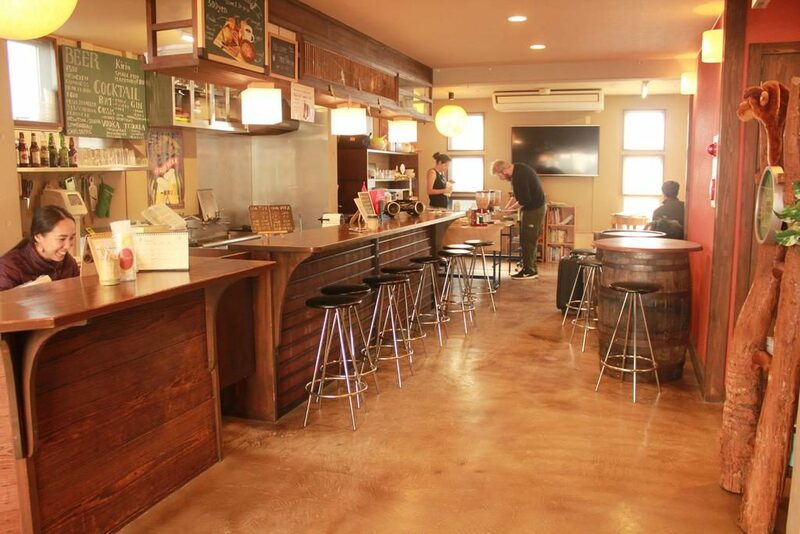 If you have a limited accommodation budget, I recommend you book at the Hostel & Cafe Backpackers which is only a few steps away from Miyajimaguchi train station. Prices are really cheap and you will find everything you need as far as services and amenities are concerned. The staff is super friendly and helpful and will gladly explain to you how and when to go to the island if you ask them. 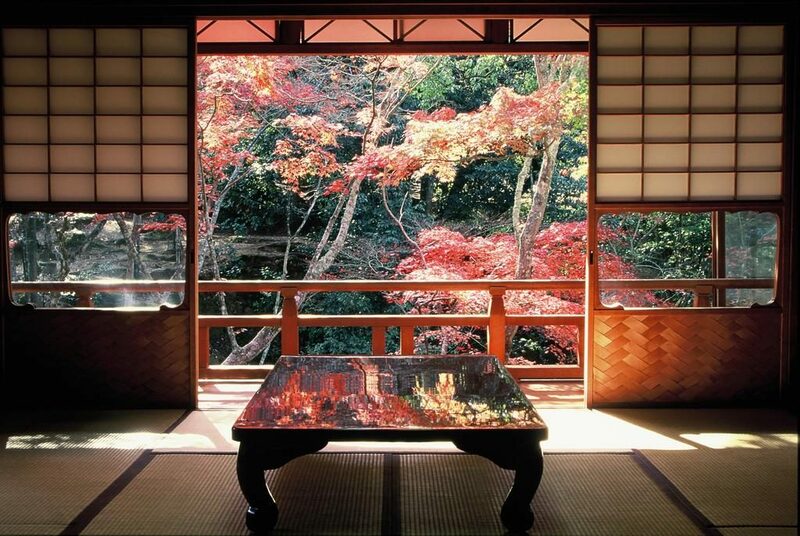 If you’d rather treat yourself to something more luxurious, there are beautiful ryokan on Miyajima. 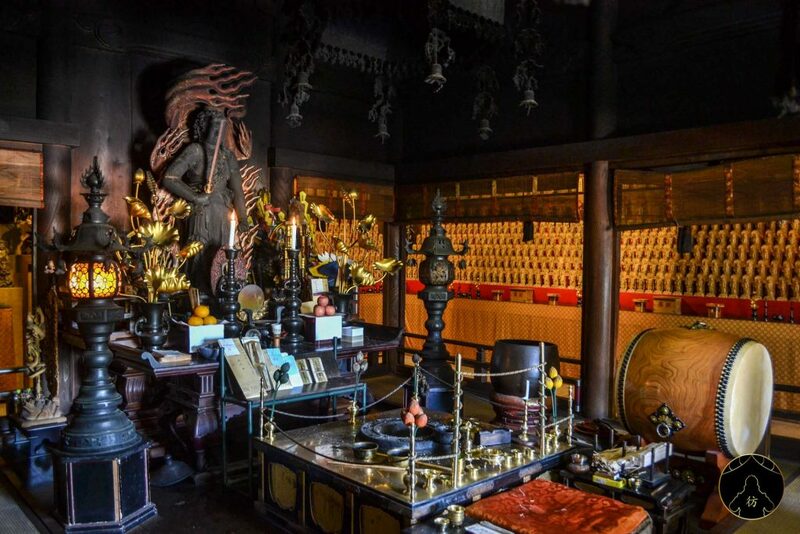 The one I recommend is the Iwaso Ryokan which is right next to the Itsukushima Shrine. 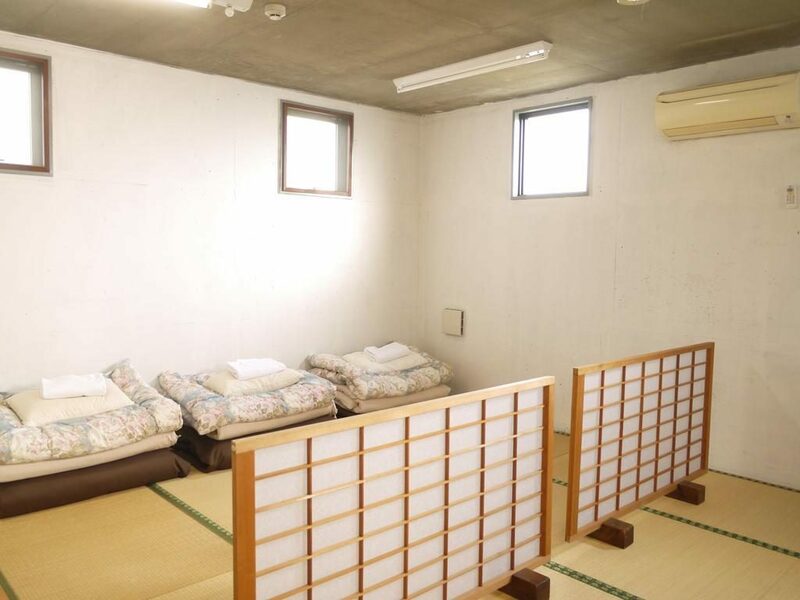 Iwaso has all the features of a traditional Japanese ryokan, with sliding paper panels (fusuma), tatami mats and futon beds. 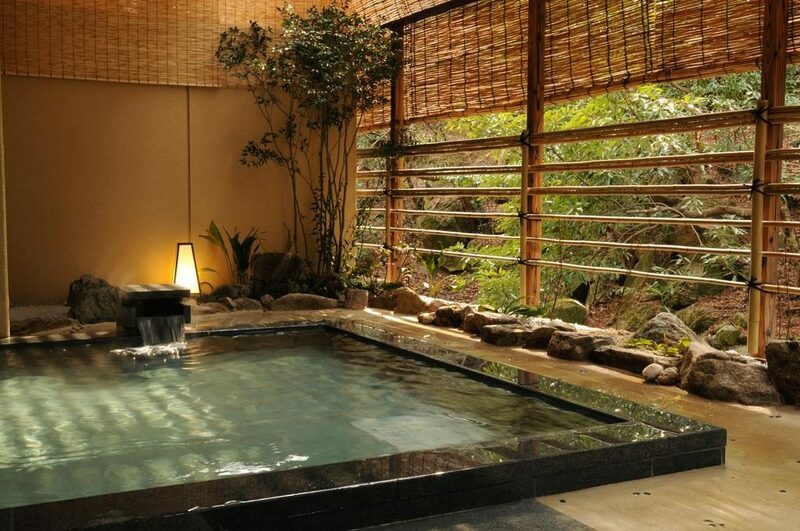 There’s also a great onsen to relax after a long day of sightseeing. What? Of course you deserve it! Travel is really, really hard! 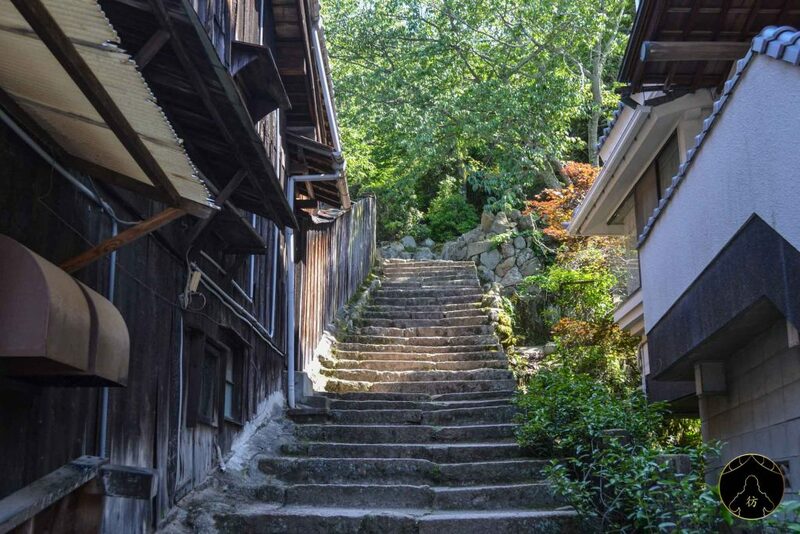 If you’d like more ryokan recommendations, have a look at this blog post: Miyajima Ryokan. If you’re wondering how much time you’d need to spend in Miyajima to enjoy most of it, I’d say one day wouldn’t be enough. If you’re willing to devote a day and a half or two days, it would be perfect to get the best out of the island. 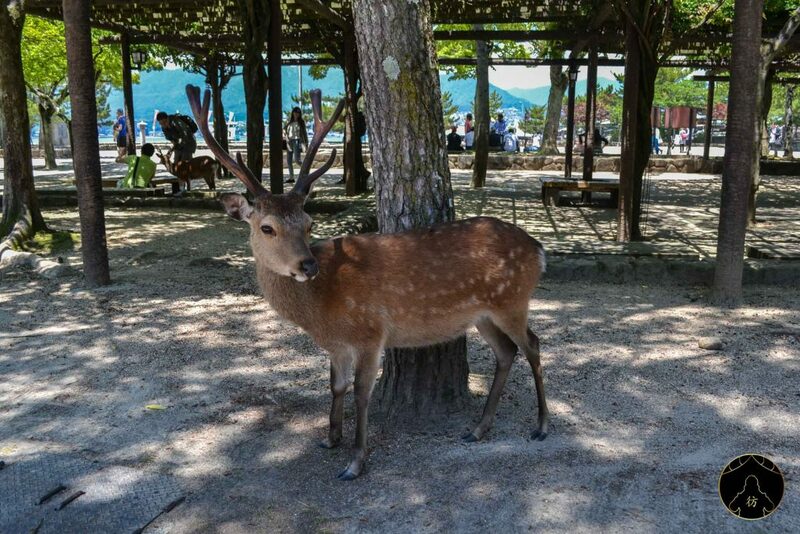 Miyajima Japan – A nice deer came to say hello! Upon your arrival on the island, you may be surprised to see fallow deer everywhere in the city, much like in the city of Nara in the Kansai area. 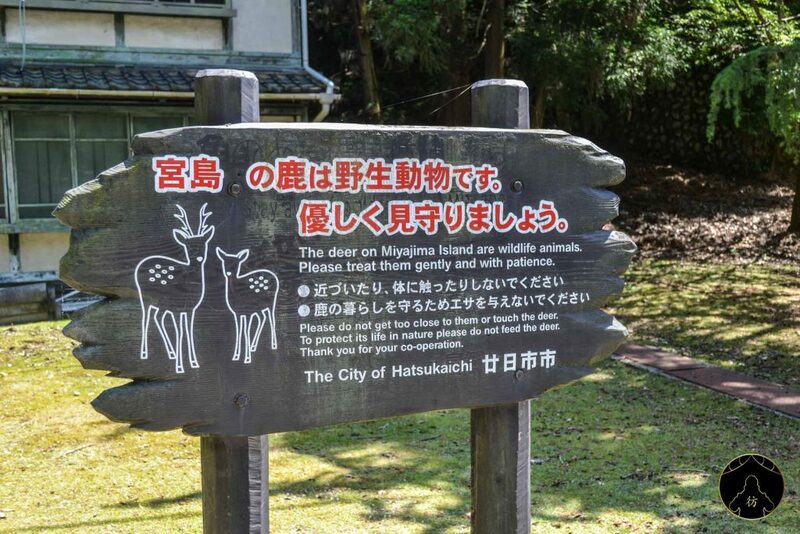 For your information, those are the sweetest and most innocent creatures and you should be aware that there are rules to follow when it comes to the fallow deer of Miyajima. 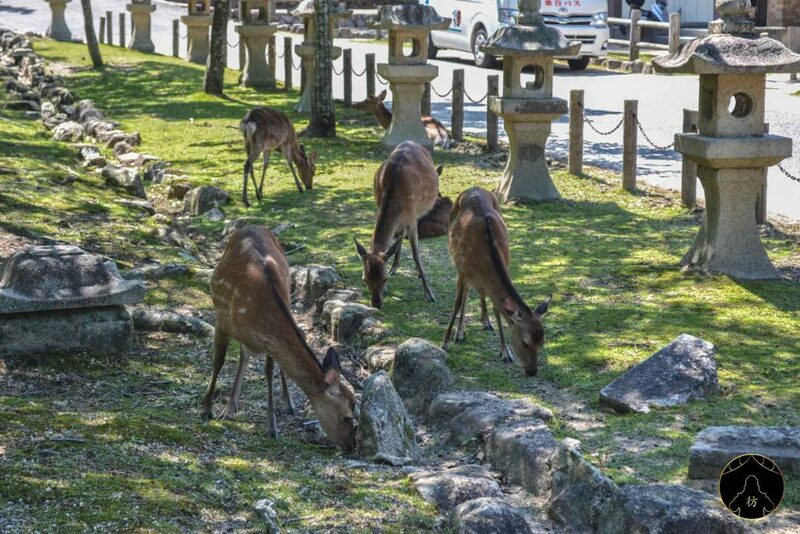 Don’t forget that they are wild animals so unlike deer in Nara, you must avoid touching them and giving them food. Please respect these rules as best as possible, it’s for the species’ own good. 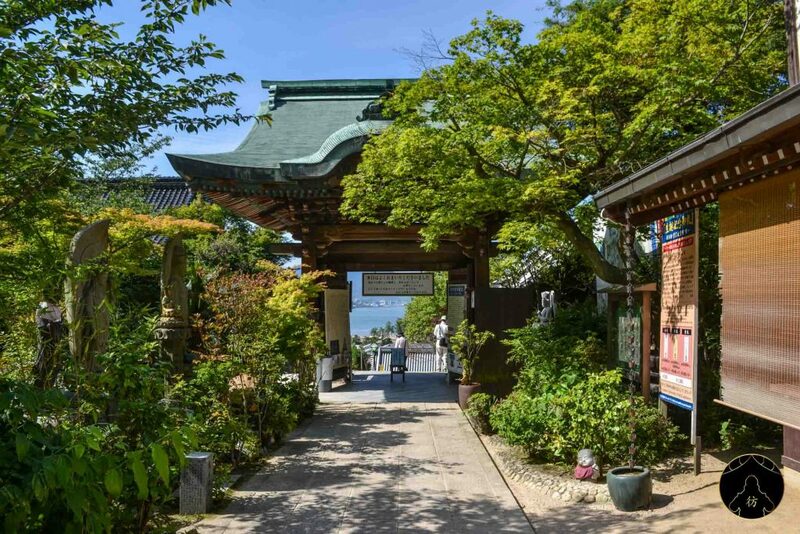 As you walk around the island, you will eventually come cross the Omotesando shopping street which is the liveliest street in Miyajima. 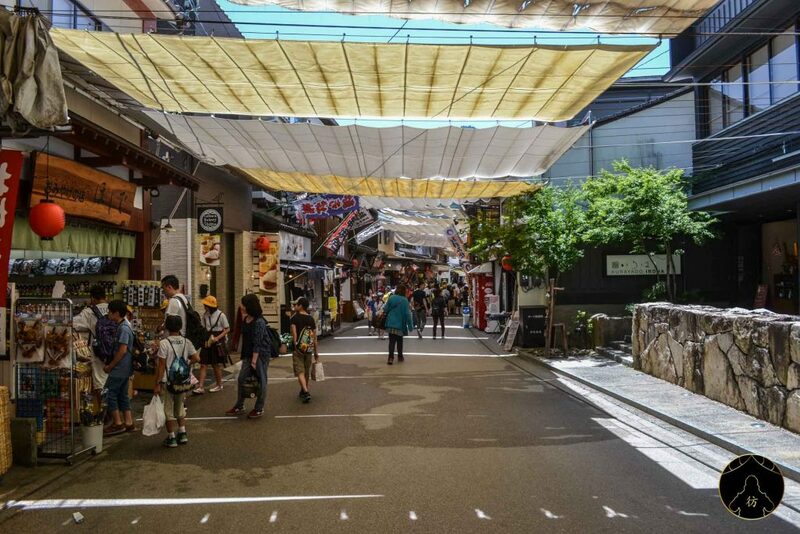 You’ll find lots of souvenir shops, restaurants, yatai and so on there.If you need to grab a bite to eat or buy a bento box for later, Omotesando is where it’s at. After crossing Omotesando Street, you should be able to see the great torii and Itsukushima Shrine. But before you get there, I recommend you first visit the beautiful 5-story pagoda Gojunoto. It was built in 1407 and is 27.6 meters high! I felt dwarfed by the building’s immensity, to be honest. If you keep in mind the pagoda’s location, you should be able to see it from several spots on the island. 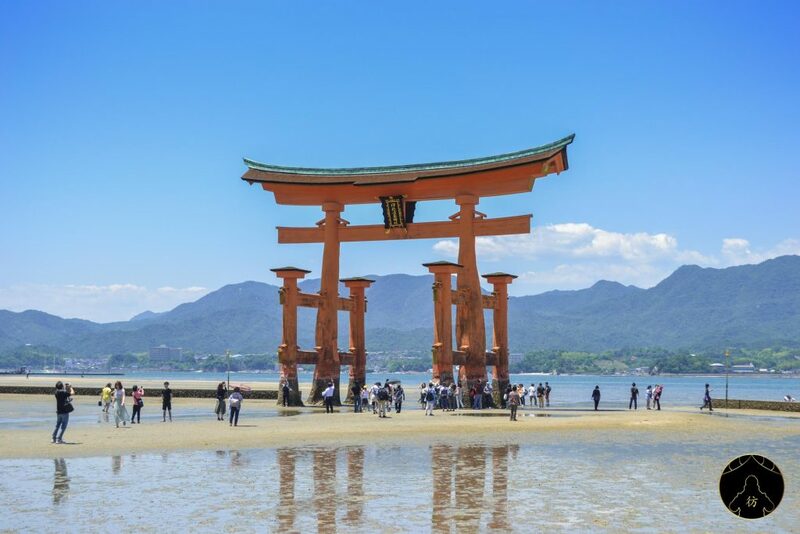 Let’s visit the most popular attraction of Miyajima : Itsukushima Shrine and its O-torii! Access to the sanctuary costs 300 yen. You’ll then cross a corridor that will lead you to the main building you see in the photo below. 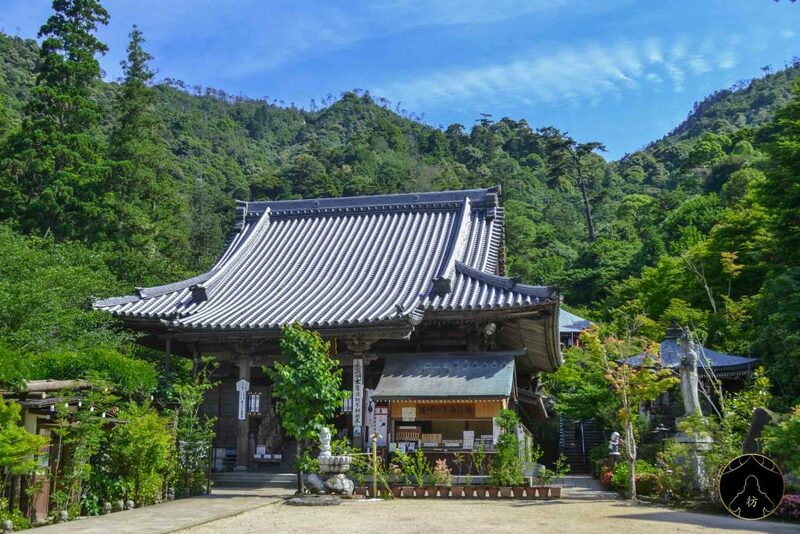 The island of Miyajima has been regularly visited since the 6th century, especially by people wanting to climb to the top of Mount Misen which is considered a sacred place in Shinto culture. 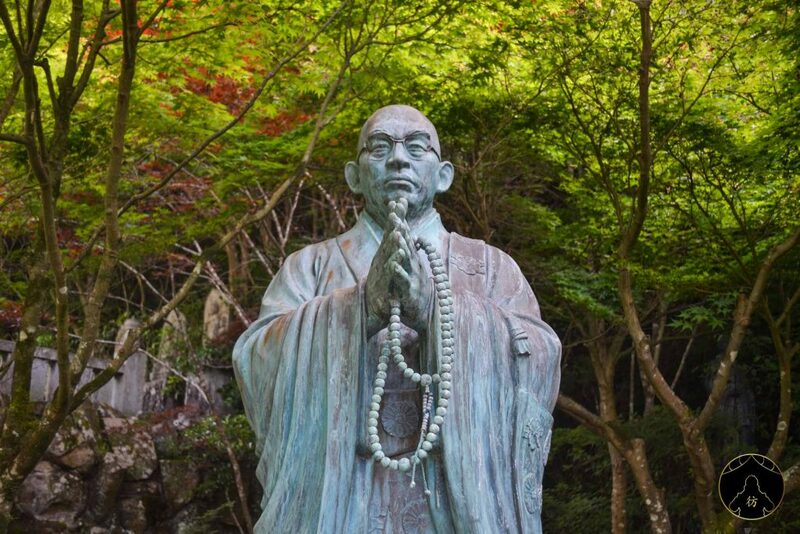 It’s how Taira no Kiyomori, one of the most influential people in Japan during the Heian period, decided to establish his government on Miyajima Island by building the Itsukushima Shrine in 1168. It’s also interesting to note that a large part of the sanctuary was built on stilts to stand against tides. By the way, you can only stand at the foot of the big torii at low tide which is is usually around 2PM. If you have the opportunity to get as close as possible to O-torii, absolutely do so! The torii is about 16 meters high and has 6 pillars that give it its stability. 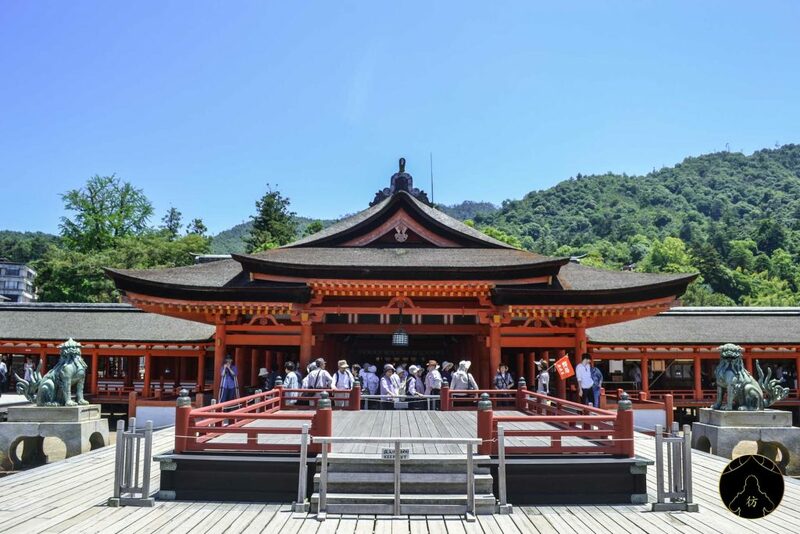 When leaving the Itsukushima sanctuary, you’ll see the beautiful Daiganji Buddhist temple with its Gomado Hall which you can see in the photo above. 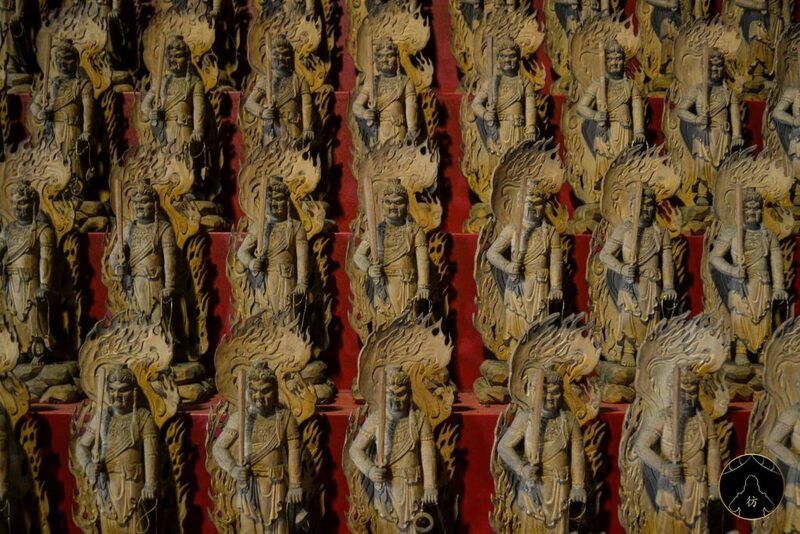 No one knows who built this temple but its construction is estimated to be around the early 13th century. 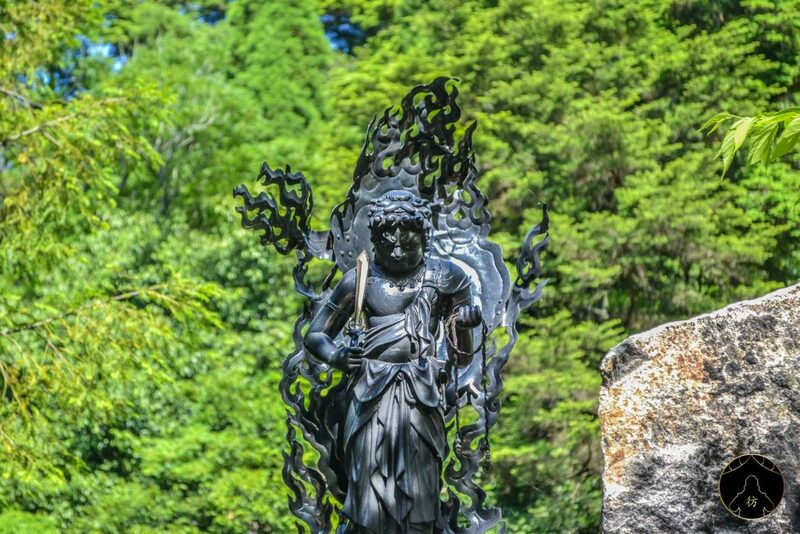 It is dedicated to the Buddhist goddess Benzaiten who represents art, eloquence and music. 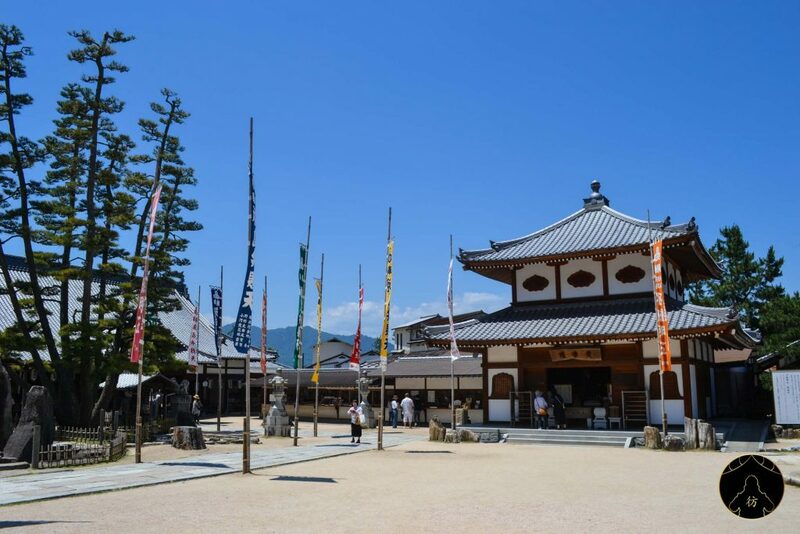 Miyajima is a pretty popular island and there may be many tourists visiting its main attractions. 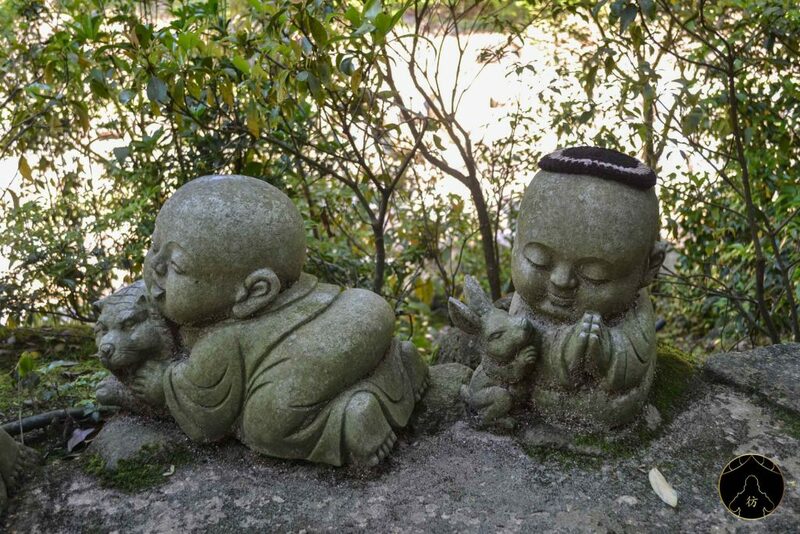 If you’d like to avoid tourist crowds, go to Otomo Park, which is located west of the island. That’s what I did anyway, I took my little bento box, went there and had a quiet breakfast. Besides cute deer here and there, there was nobody around. 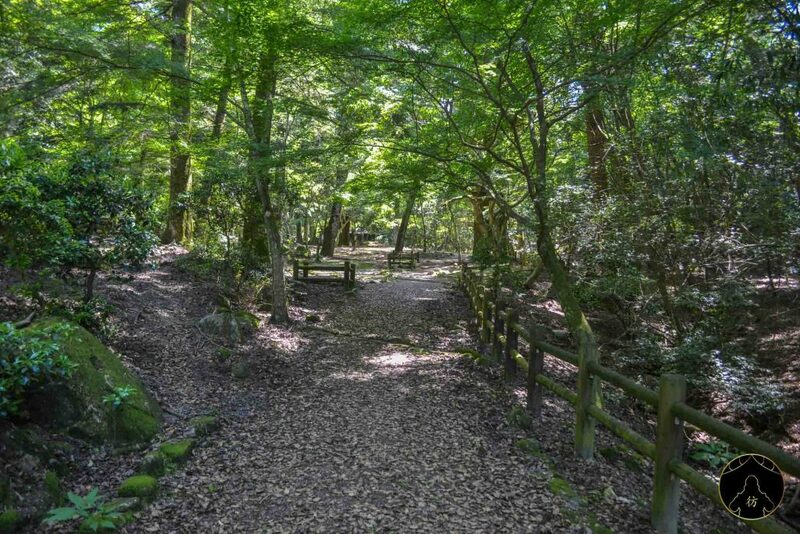 FYI, Otomo Park is one of the starting points of sightseeing tours leading to Mount Misen’s summit. 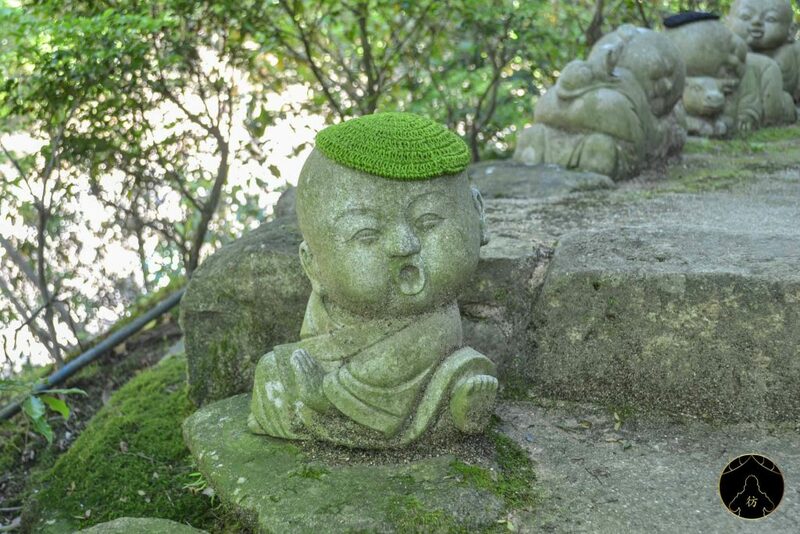 Daishoin Shrine is just my favorite place in Miyajima! It is a very beautiful place with a magical aura and sublime temples. I did not see many tourists there and it may be because it is located on the heights of the island and visitors have to climb many steps to reach it. 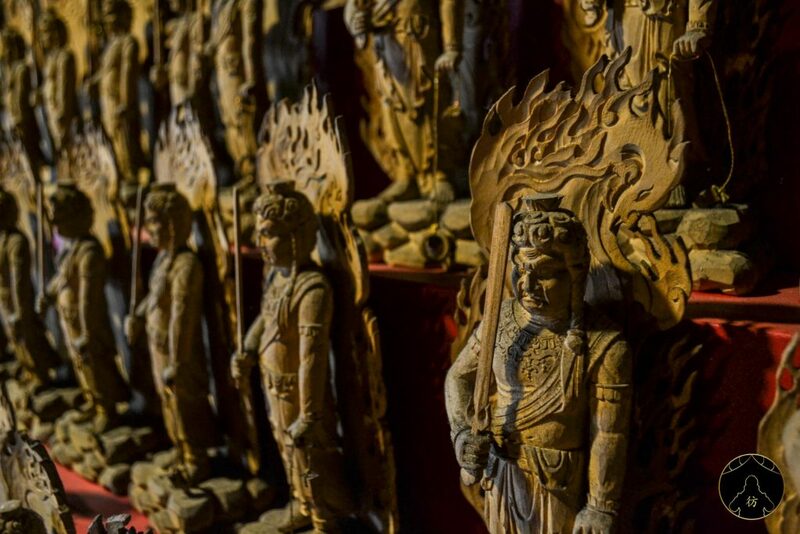 There’s an impressive number of Buddhist statues (rakan) that will follow you throughout your visit. There are 500 of them and they all have different facial expression. Masterpieces, aren’t they ? 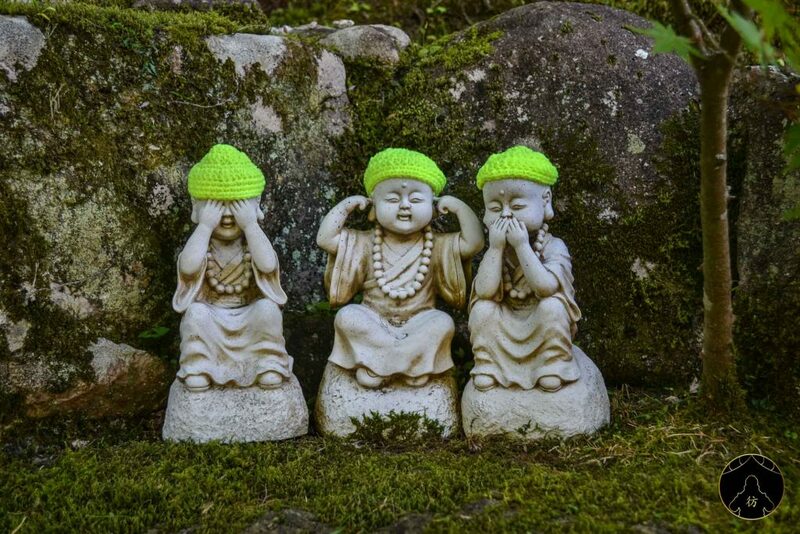 My favorite were these ones, they remind me of the three wise monkeys. Basically, what they’re saying is : see no evil, hear no evil, speak no evil. 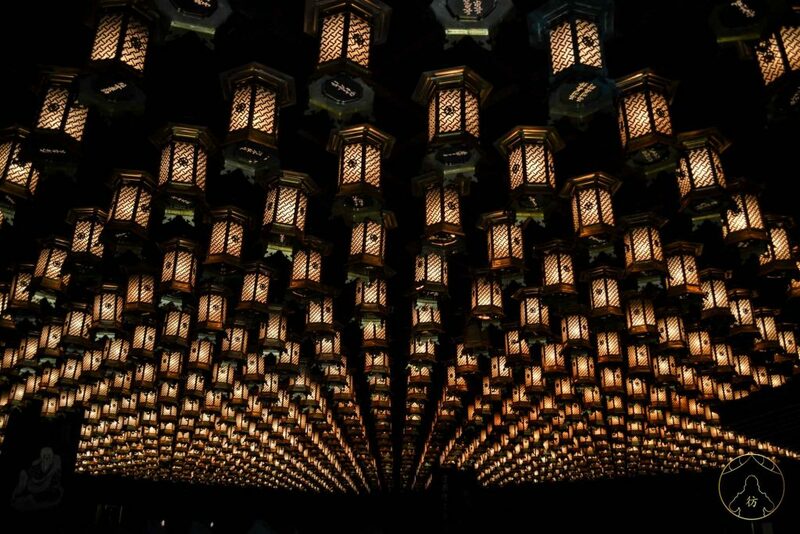 The Henjokutsu cave was also one of my favorite attractions, with its hundreds of lanterns hanging on the roof. 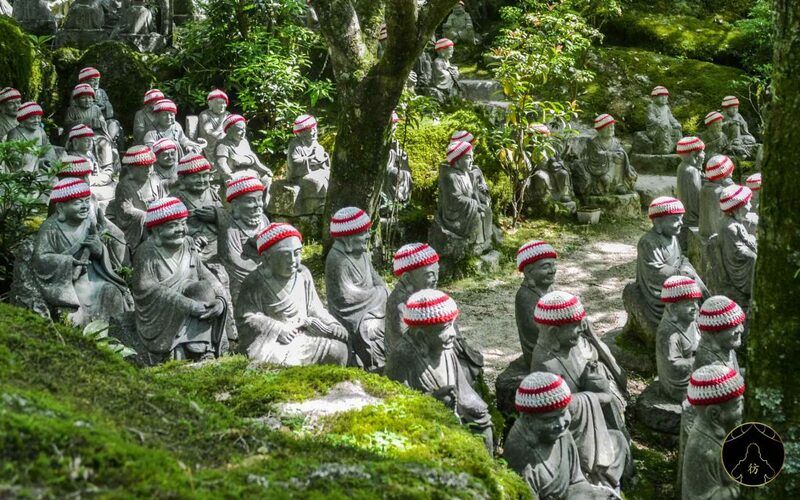 There are 88 Buddhist statues referring to the 88 temples of the Shikoku pilgrimage there. 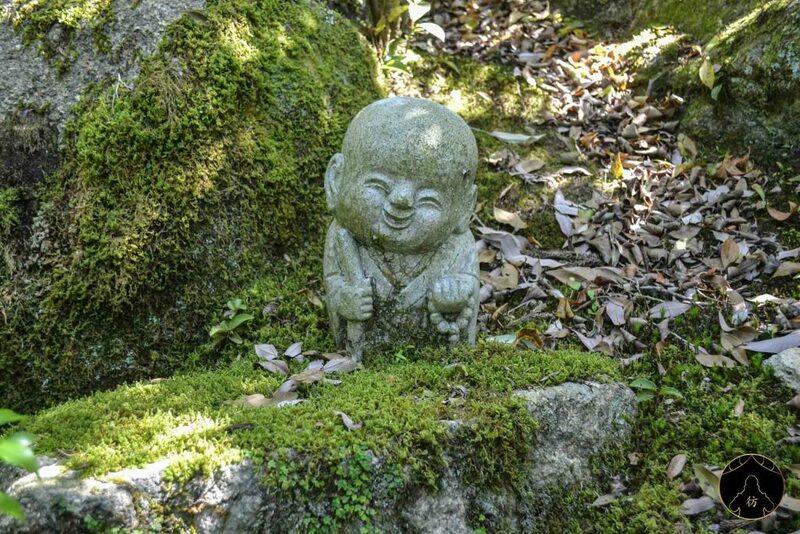 There are many other incredible things at Daishoin Shrine and I recommend you give yourself enough time to discover them all. 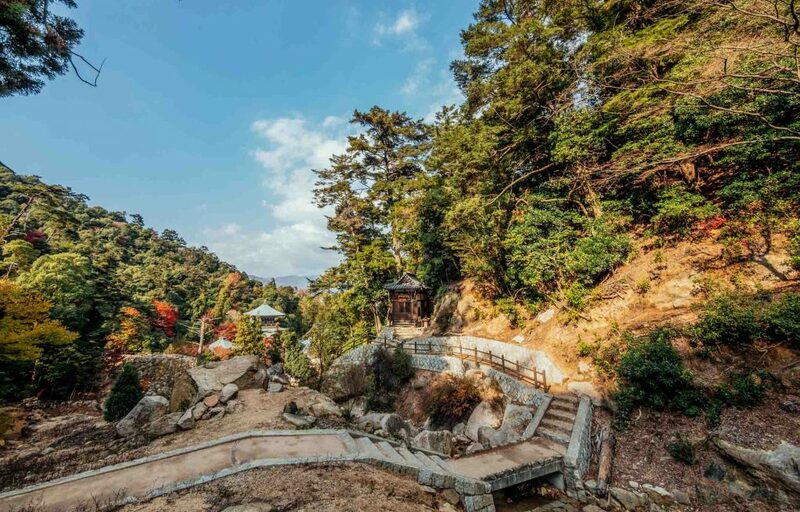 There are 3 routes you can follow to climb to the top of Mount Misen. The first (and easiest) is the route called Momiji. Its name is explained by the fact that it runs along the river Momiji which crosses beautiful forests of maple trees. It’s absolutely beautiful in autumn! 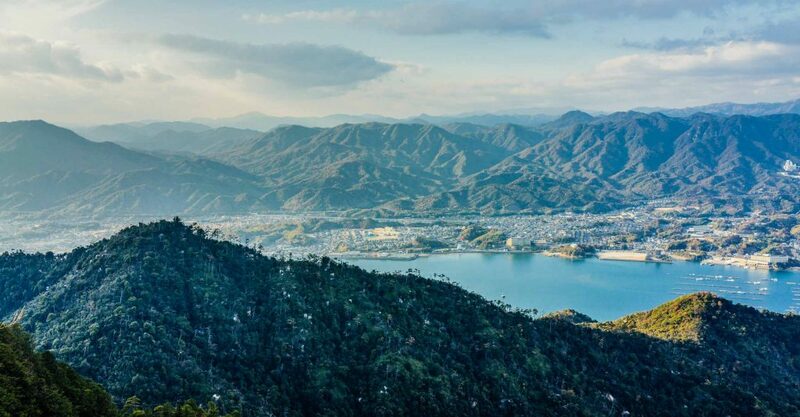 You can take a cable car to Momiji Station (Google Map) or walk there. The walking tour is about 2.5 km and it’ll take you about an hour and a half to reach the mountain top. 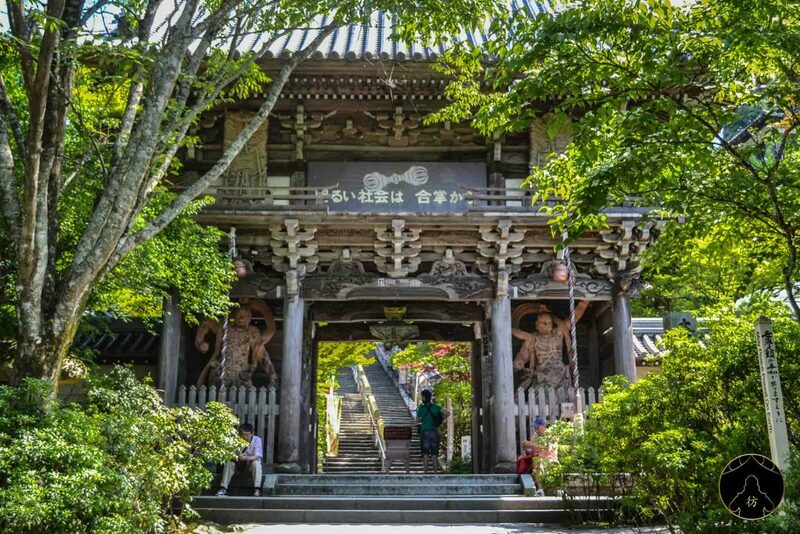 The two other routes start from Daishoin Shrine or Omoto Park that I mentioned earlier. 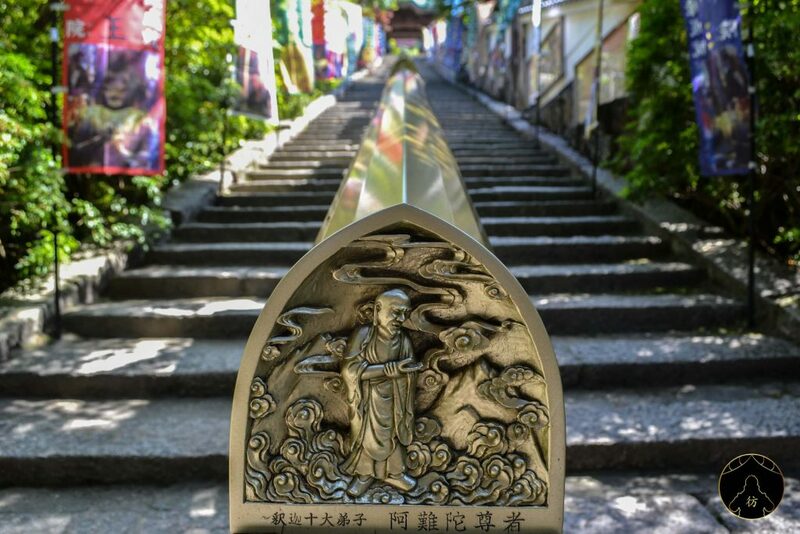 It takes a solid two hours to get to the top and you’ll have to walk about three kilometers to reach your destination. No matter the route, make sure to wear good shoes and drink water regularly. 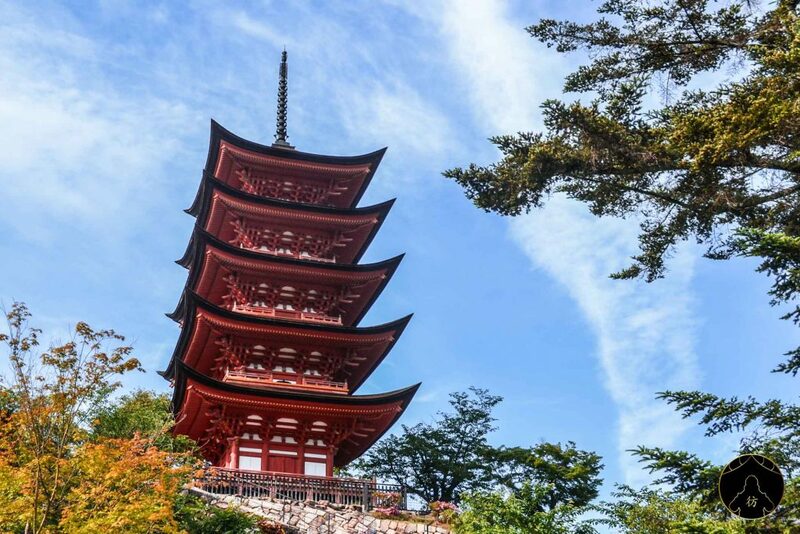 Let’s end this blog post on this magnificent view of the island of Miyajima in Japan. I hope all the information I shared will help you organize your trip to Japan. If you have a question or comment, please leave it down below. 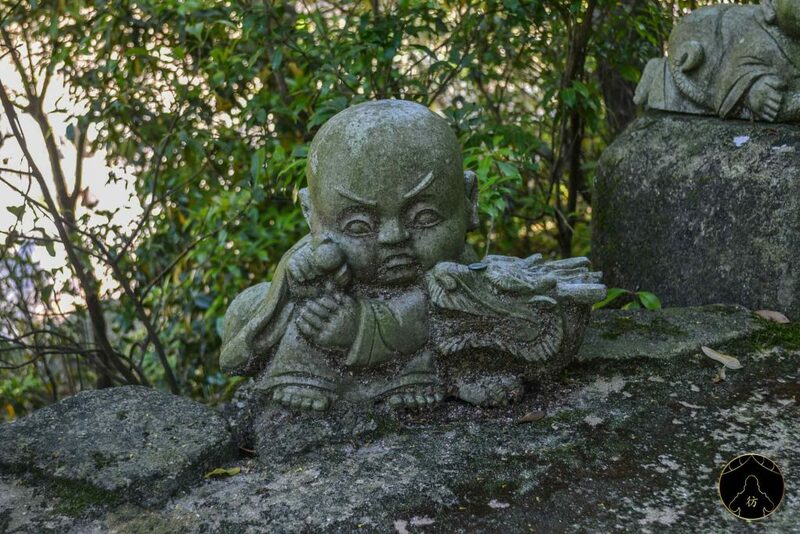 If you’d like to follow my adventures in Japan and throughout Asia, don’t forget to subscribe to my social media: Facebook Page , Facebook Group, Instagram and Pinterest.